OPEN HOUSE Saturday, 4/20 ( 1-3 ) This CHARMING Farm House style 4 bedroom home inspired by Chip & Joanna is truly a work of art! OPEN floorplan throughout the first floor. 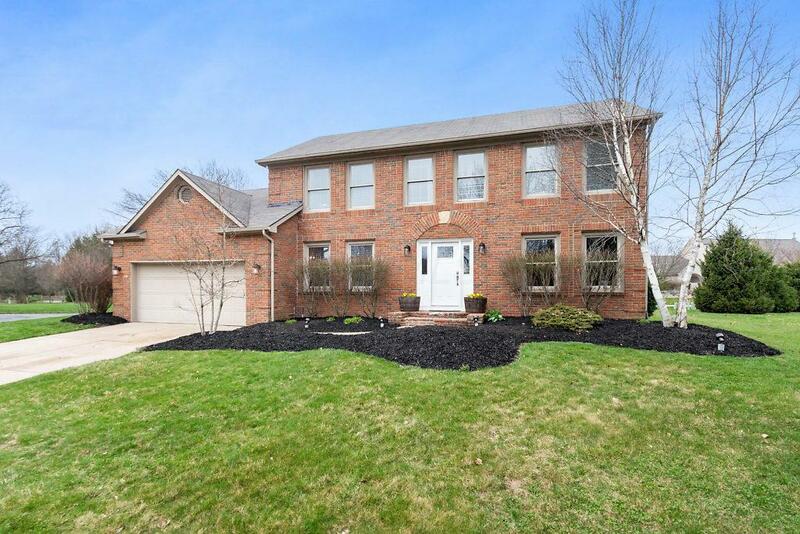 Enjoy gatherings in the generously sized living/dining room graced by a fireplace, built ins and sliding glass door leading out to the rear deck. The kitchen boasts new cabinets, beautiful white subway tile backsplash, SS appliances and an amazing copper sink! Private laundry room and the den/office, music room offer the perfect amount of space. ALL new flooring throughout both levels! Cobblestone tile in the foyer and kitchen. Master bedroom features a huge master w/ en suite master bath and large walk in closet. 3 more lg bedrooms upstairs. NEW HVAC,! NEW H20 heater! AMAZING location across from the Dublin POOL.